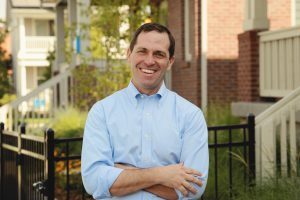 Rep. Jason Crow defeated Rep. Mike Coffman and flipped this seat from red to blue in 2018. He isn’t afraid of a challenge and has an impressive record of service. Jason is the son of small business owners, worked minimum-wage jobs during high school, enlisted in the National Guard, and worked in construction to help pay his way through college before becoming an Army Ranger and veterans advocate. Crow’s race was key for Democrats to take back the House in 2018 – President Obama, Hillary Clinton, and Gov. Hickenlooper have all won this district. In office, he will fight to create good jobs, expand access and affordability to healthcare, improve and strengthen education, and fight for our veterans. He serves on the House Armed Services Committee.